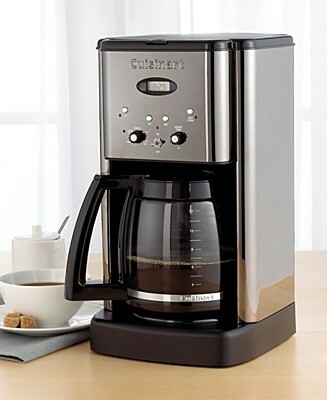 Cuisinart brew central coffee maker or the DCC 1200 is known to be a reliable and good coffee maker. Consumer have discard their Mr Coffee and Bunn to switch to this machine upon hearing the good reviews. One of the main draw about the cuisinart brew central coffee maker is the price tier. It is very reasonably priced at between $70-90 for a programmable coffee machine. 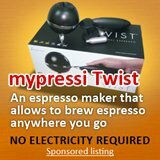 So, what it is about this coffee maker that allows it to poach customers from other reputable brands? First, let me share what you would get when you purchase this machine. You would get a 12 cup carafe that comes with anti-drip pouring, nothing special, there are many brands that comes with this feature. Then, there is the alert beep to tell you that your coffee is waiting. Being a programmable coffee maker, there is the digital clock that allows you to program the coffee maker to brew coffee for you anytime of the day. It is a great feature but again, nothing special about it, there must be hundreds of other brands that has this feature as well. Although this cuisinart brew central coffee maker does not comes with a thermal carafe, it has a warming plate that is very close to the thermal function. It allows you to program and adjust the temperature from 0 to 4 hours right down to the minutes. A function that ensure that your coffee is less likely to be burn. This is a function that is not seen often, while it is great and it greatly reduces the chance of burning your coffee, personally, I think it would be even better if they could incorporate a thermal carafe. Of course, the thing to have for drip filter is a pause and serve function so that you can enjoy a cup of coffee in less than 30 seconds. This is a good feature to have, and while cuisinart brew central coffee maker has it, it is not this that makes it so special. It is also not the 1-4 cup selector that allows you to brew extra hot coffee or more intense coffee that makes this coffee maker a better machine that the rest. There are 2 features that comes with this machine that would allow you to make better coffee. The first one is a little flickering light telling you that your machine needs to be cleaned. Survey has shown that with the light, more than 80% of consumers would actively cleaned their coffee brewer, while without the light, only 30% of consumers would clean their coffee maker. 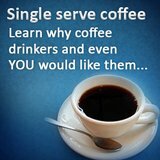 People need to be told, and clean coffee maker is the key to great coffee. Although many consumers often ponder on the way to make better coffee, they do know that they themselves make a difference and one such difference lies in cleaning the coffee machine. 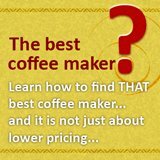 See our free coffee course for more information about how cleaning the coffee maker can better your coffee. Another element shared by this coffee course is the use of water. 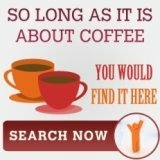 Many coffee lovers do not know that the quality of water affects the quality of your coffee. Using tap water or commonly know as hard water would spoil your coffee. So, the charcoal filter that comes with the cuisinart brew central coffee maker makes a great difference in the quality of your coffee. Both are very insignificant features that would make a great difference in the cup of coffee that is brewed using this cuisinart compared to other coffee makers.